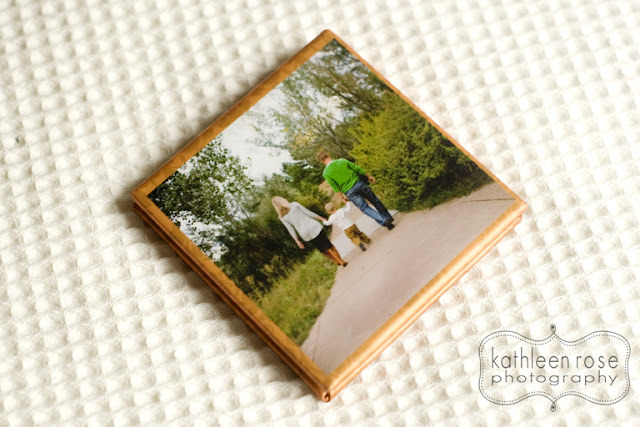 I am excited to be adding these to my collection of custom products. They are a three inch square, fold out accordion and each come with a frosted plastic cover - perfect for a little brag book to keep in your purse. All of the sides are completely customizable - so I can include and text, dates or design that would compliment the images. 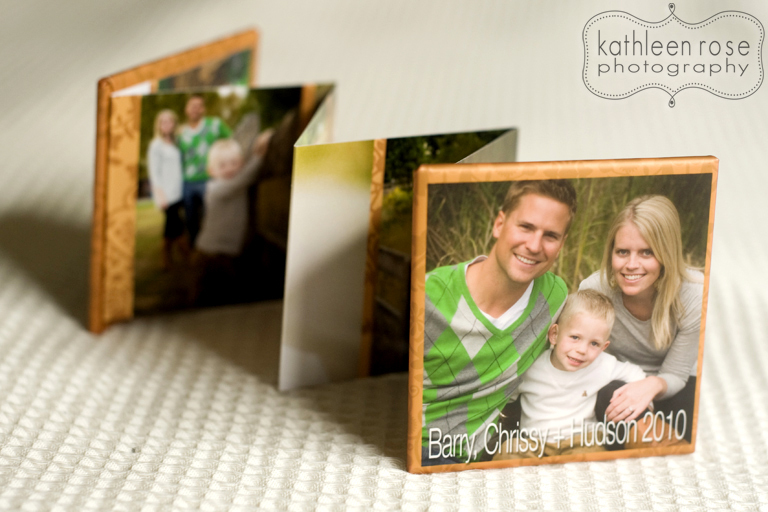 They come in a set of three - which is perfect for sharing pictures of your adorable family. Give one to each set of grandparents and keep one for yourself. I love these little cuties!